With fost-adopt, I didn’t need to own a home or have $50,000 in the bank to become a parent. “Anyone in this class who wants to adopt will be able to adopt.” That was the first thing the social worker said to my foster parent training class. Until then, I’d been too scared to pursue my dream of becoming a mom. It was exactly what I wanted to hear. When I mentioned my desire to adopt to a colleague, she told me that she was pursuing fost-adopt. Children available for placement in a fost-adopt home have been determined to be less likely than others in the system to return to their birth families. Fost-adopt parents have an open relationship with the birth family. Birth parents are counseled about their options and are advised of a plan for adoption as the alternative to reunification. With fost-adopt, I didn’t need to own a home or have $50,000 in the bank to become a parent. I decided to give it a try, and within three weeks I was attending MAPP (Model Approach to Partnerships in Parenting) classes with other prospective parents. The themes of attachment, abuse, neglect, and the loss a child feels when placed in foster care were daunting at first, but later my group agreed that every parent should be required to attend classes like this. I concluded that I could handle the possibility of giving a child back—though I hoped I would never be faced with that. I completed my application and homestudy straight away, and was officially placed on the “open homes” list. Three weeks later, I was Renee’s mom. She arrived dressed in a hospital-issue undershirt and diaper, tightly bundled in an infant carrier. I kept thinking, Oh, my God, I’m a mom. Now what do I do? I fed her and changed her into her first pair of pink teddy bear pajamas. I admired her 10 perfect fingers and 10 perfect toes. Three days after I returned to work, I received the call: Renee’s great-aunt had been granted custody. My heart was in pieces when I went home that night to pack Renee’s little undershirts and sleepers. I wrote a letter to her family explaining that she liked to fall asleep on her side, that she was a good burper after two ounces of formula, and that tickling her toes made her smile. The next day I drove Renee to the agency. Her family hugged me and thanked me for taking good care of her, and I said good-bye to my little girl. I had just begun to heal after the loss of Renee when I received a call from my social worker. A baby boy was waiting. He had been born nine weeks premature and was now ready for discharge from the hospital. Justin was three weeks old and barely tipped the scale at four pounds, yet he was surprisingly healthy, with no apparent special needs. The social worker didn’t know whether he would be a permanent adoption placement. For me, the overwhelming desire to be a mom outweighed the uncertainty. We became a team—mother and son. Then, once again, the dreaded call came. A great-aunt had been found who was willing to take custody. Another great-aunt? It wasn’t any easier to let go this time. Even before Justin was gone, the agency called again. They had another baby boy. He would probably be placed for adoption. I had wanted a few weeks to recover before I went back on the open homes list, but before the social worker had finished giving me the details, I knew I would say yes. Matthew came to live with me on a hot day in July. Now three years old, his bright eyes, beautiful smile, and curious nature make every day of my life a wonderful adventure. We love each other beyond reason. And he is here to stay: our adoption ceremony was held just under two years after his placement. There are more than 100,000 children in foster care in this country who are waiting to be adopted right now. There is minimal or no cost involved in adopting through the foster system. Single parents are welcomed. For families who have their hearts set on a newborn—well, I had three placed with me in a matter of months. Adopting through the foster care system wasn’t easy; then again, neither are the other ways of adopting. I will do it again. I treasure my memories of the time, however brief, I spent with my first two babies. I was there for Renee’s first smile, Justin’s first splashes in his bubble bath. Matthew took his first steps into my arms, and he is waiting for me with a big smile at the end of each day. Rosemary Shulman lives with her son, Matthew, in Los Angeles. This article originally appeared in Adoptive Families magazine. Adopted 7 from foster care!..five came as infants..grreat way to adopt! 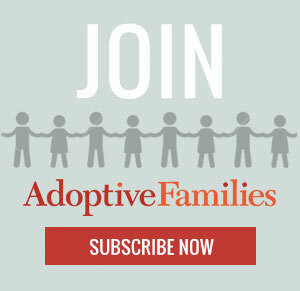 What a great ideas on foster adoption. I liked your writing skills that can inspire to everyone. There are so many questions families have regarding adopting a child from foster care. Foster care, generally, is for a period of time with the goal that the child or young person can return home or be placed with a permanent family. People involved in permanent foster care of older children or teenagers might have had their own children who are now grown and feel they can offer a child a permanent secure base from which the child can develop. Thanks for sharing. We have adopted one of our daughters through Foster Care in MN. As a financial adviser, I blogged about it to share the financial implications of this approach. I commend your resolve after not being able to keep the first two and am happy for you. Your persistence was rewarded in a wonderful way!! Foster adopt 90 % of the time is a way for states to make make money, and steal children from their families. There are grandparents, aunts, siblings who are bypassed for the dollars earned. One two and a half year fight by our family to gain custody of our baby earned NY state over $1 million dollars in salaries and revenue. Do the math, don’t take our children!